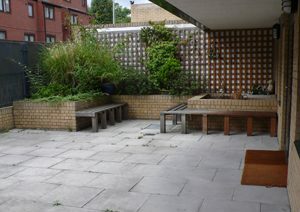 West Hampstead Yoga has been running 10 years, with a regular weekly offering of evening classes and weekends events. What started out as a Monday night Yoga evening class, has grown into a community. 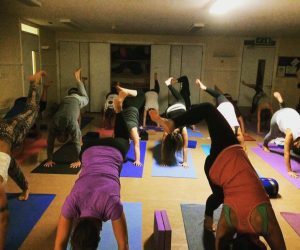 As well as Hatha Yoga, there is a regular Yoga and Meditation class and on Saturdays and Sundays throughout the year there are courses and day events offering an opportunity to go deeper into yoga and experience longer periods or practice. More than 1,000 men and women, locals and those from afar, spanning ages from 16 to 70+, have crossed the threshold and taken a class at West Hampstead Yoga since it begun. There is a core of regulars who have been attending for as long as I’ve been teaching, and we have evolved and continue to develop, on the yogic path together. The journey is open to all, at whatever stage in life you find yourself. Whether you are passing through London and want to get some practice in, needing a body workout which includes de-stressing, seeking a practice and place to develop your whole being, or just want somewhere to go to at the end of a day where you can be yourself and breathe…. the doors to this yoga studio are always warmly held open to you. Booking: priority given to those who have booked online. Wait list: if the online class booking shows the class is full, you can still book and your name will go on the Way list. Mats and props – you can bring your own mat if you have one, or leave your own mat in a secure cupboard on site. Please arrive promptly – ideally five minutes before the start of the class.